The treehouse in its most simple and fundamental form enables us to escape from the everyday pressures of modern life and feel closer to nature. It can also be an architectural wonder, showcasing the most creative of small space design and engineering solutions. 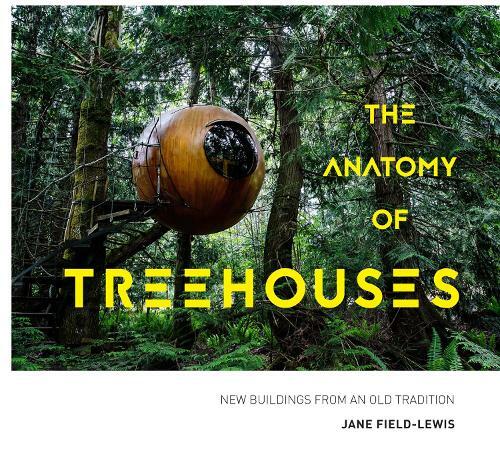 This beautiful book shows how the treehouse can be many things: from simple structures based on centuries-old woodworking skills to modern geodesic forms strung high up above the treeline. There is something magical about treehouses - whatever your age. These boltholes perched above the ground appeal to those of us who want to get close to nature without forgoing any creature comforts... there are treehouses with wood-burning stoves, some with copper baths and some with elevated linking walkways obscured by the canopy of trees above. Then there are the handmade simple structures using recycled materials and the branches of the trees for both internal and external support and design. There are also free-standing structures on stilts inspired by the physical tree but not attached in any way. The book offers both visual inspiration from the specially commissioned photography but also the human stories behind the creation and design of these treehouses. The text covers topics such as the plan, structure, materials and decoration, colour palette and texture, and style notes to bring to life the personal and interesting story behind each treehouse featured in the book.